Scott Kay, an industry leader in bridal jewelry, is known for creating dazzling diamond treasures designed to be cherished and passed down for generations to come. Symbolic of your true love and devotion, this Scott Kay semi mount and diamond band is the perfect choice for the modern bride-to-be. Unique in style, this Scott Kay creation evokes modern curves that showcase dazzling princess cut diamond accents. Crafted in lustrous platinum, this fashionable engagement ring shines with 4 princess cut diamonds, .80 TDW, to perfectly compliment your personally selected center stone. (Sold Separately.) 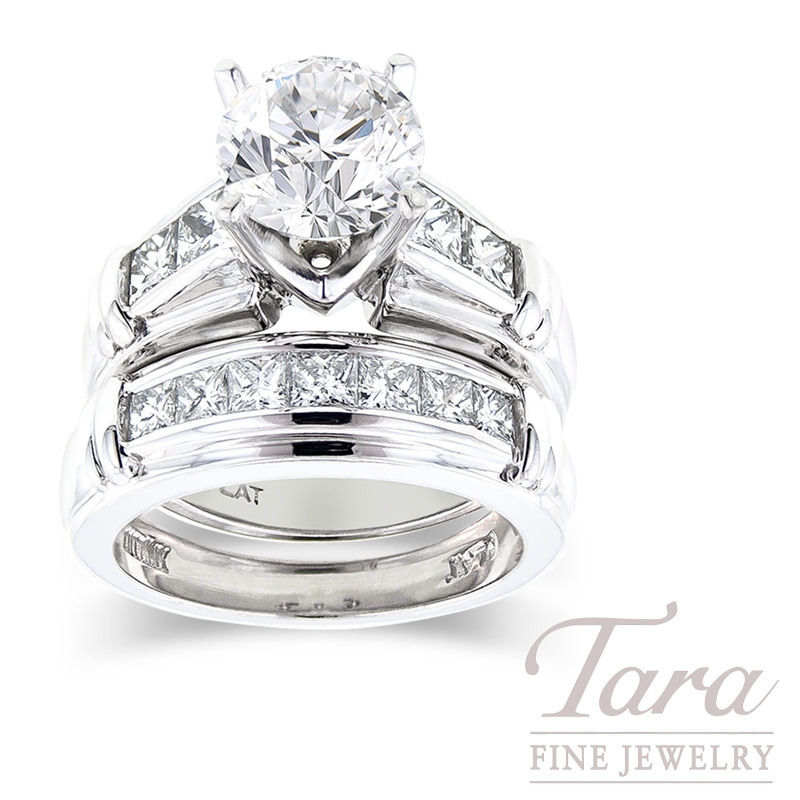 Complete with matching Scott Kay diamond wedding band featuring an additional .80ct TDW in princess cut diamonds, you can count on this stunning diamond wedding set to tell your unique love story! Tara Item # 16-38099 is Temporarily Out of Stock- Please know that we would be happy to special order it for you! Give us a call today for more information on pricing and availability. Tara Item# 12-36929 is Temporarily Out of Stock- Please know that we would be happy to special order it for you! Give us a call today for more information on pricing and availability.